Health insurance is the most important insurance you can ever get. Why? Not only is your health more important than everything else but medical bills can be incredibly expensive. With health insurance, getting a major surgery or treatment for a serious illness won't put you in dire financial straits. It doesn't have to be a major medical illness or planned medical expenses due to a pregnancy. Without a solid insurance plan, pregnancy can cost an extortionate $40,000, with insurance $2,000. Employer-provided health insurance: This plan is often a good option if it's available through your employer. Most of these plans are affordable and offer decent benefits. Bronze, Silver, Gold, and Platinum health insurance: These plans offered through exchange on HealthCare.gov pay between 60-90% of most medical costs. Higher levels of coverage mean higher premiums though, so consider which one is right for your financial situation. Catastrophic plans: These plans are only available to those under 30 years old but have the lowest premiums. If you're young, don't go to the doctor often, and are in good health, this may be a decent option. Premiums: This is how much you pay every month for health insurance. 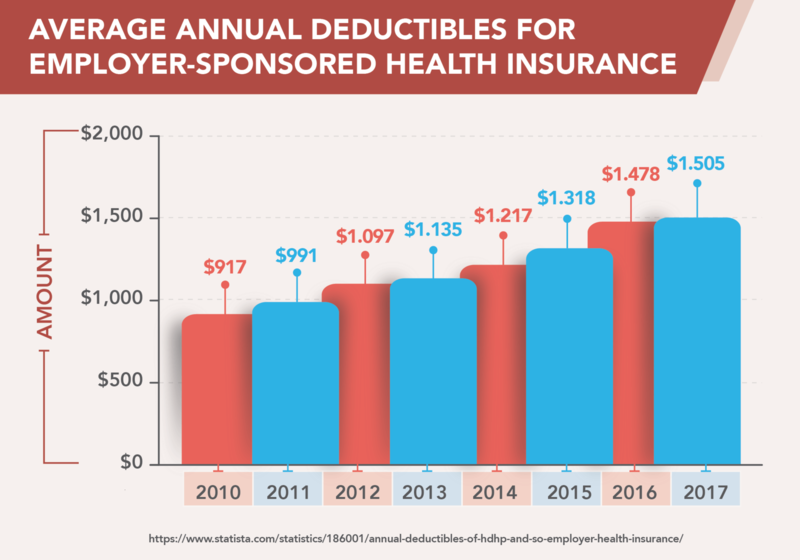 Deductibles: This is how much you have to pay before your health insurance kicks in. Different types of costs like prescriptions may have their own deductible that needs to be met. Copays: You pay this flat fee when you visit the doctor. Co-insurance: This is the percentage of the charge you pay for care. In-network: These health care providers have contracts with your insurance company to give plan members discounted rates. Out-of-network: These providers don't have such contracts, so you pay more for visiting them. Enrollment period: This critical time is when you can sign up for plans through government or state healthcare exchanges.